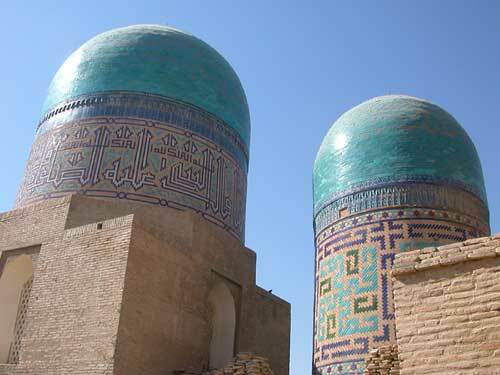 27) Samarkand: The Shakh-i-Zinda Ensemle. Lower group. The double-cupola Mausoleum of the lower group. State in 2004.